Heather Quick, a managing research scientist at AIR, has more than 15 years of experience leading research and evaluation studies of early care and education program quality, school readiness, family engagement, and teacher professional development. Dr. Quick is currently principal investigator of a statewide impact study of California’s Transitional Kindergarten program, the first year of a two-year kindergarten program providing a developmentally appropriate curriculum for children with fall birthdays who would otherwise enter kindergarten prior to turning five. Using a quasi-experimental design, the study is assessing the quality of the program and its impacts on children, and is identifying elements that best support children’s learning and development. Dr. Quick is also leading a Race to the Top, Early Learning Challenge grant-funded evaluation of California’s Quality Rating and Improvement System. The study is a collaborative effort among four research organizations and, under Dr. Quick’s direction, examines a range of research questions related to the implementation, validation, and outcomes associated with the system. Dr. Quick also has expertise in family literacy and family engagement and has conducted evaluations of programs designed to serve the early learning needs of children birth to five and enhance the language, literacy, and parenting skills of their parents. For a series of early learning and family engagement studies conducted in Los Angeles for First 5 LA, she led the analysis of child outcomes data collected through direct assessments, teacher reports, and district student record files to examine pre-kindergarten outcomes for children participating in the initiatives, as well as long-term outcomes for children in kindergarten through 5th grade. 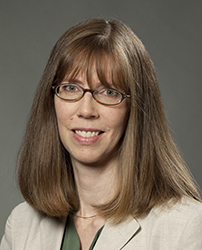 Dr. Quick has also led studies of early mathematics learning and teacher professional development initiatives and has significant experience in both quantitative and qualitative data collection methods and analysis.